Give your charms an instant update with the Narrative Sterling Silver Charm Cuff. 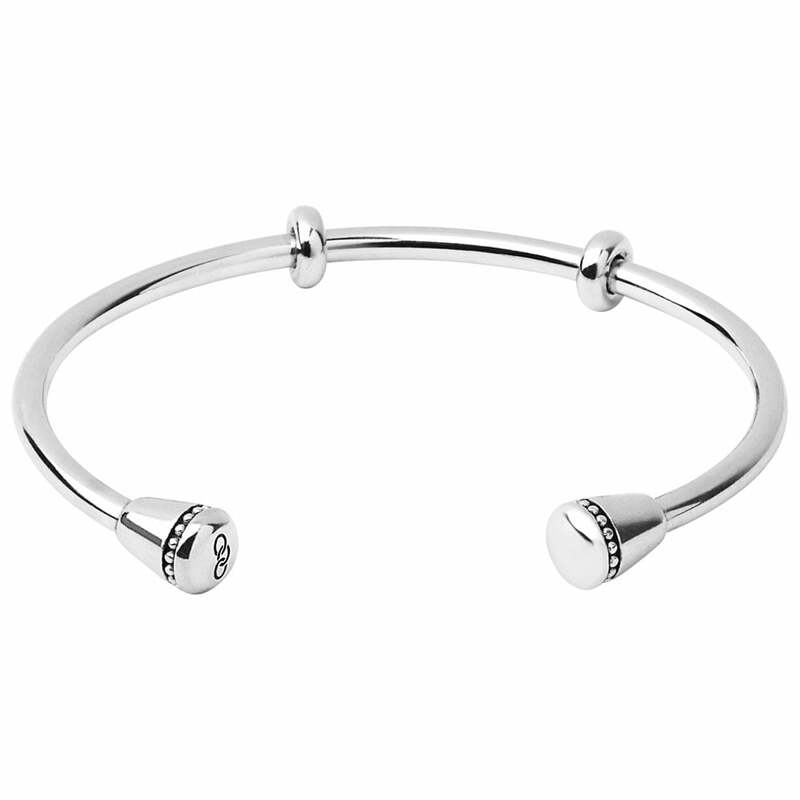 Add your charms to this easy to wear cuff securing in place with the silicon lined metal beads to create an on-trend look that is unique to you. Crafted in polished sterling silver with the iconic Links of London logo at each end for a sleek and sophisticated finish. The perfect gift for the fashion forward woman in your life. Showing our 2 Links of London Medium Amulet Silver Cuff Bangle reviews with an average rating of Excellent. Would you like to write a review? The item was just what I wanted despite the sizing issue but the only reason for 4 out of 5 stars was because the box it came in was dirty. This was solved however once I had changed it.